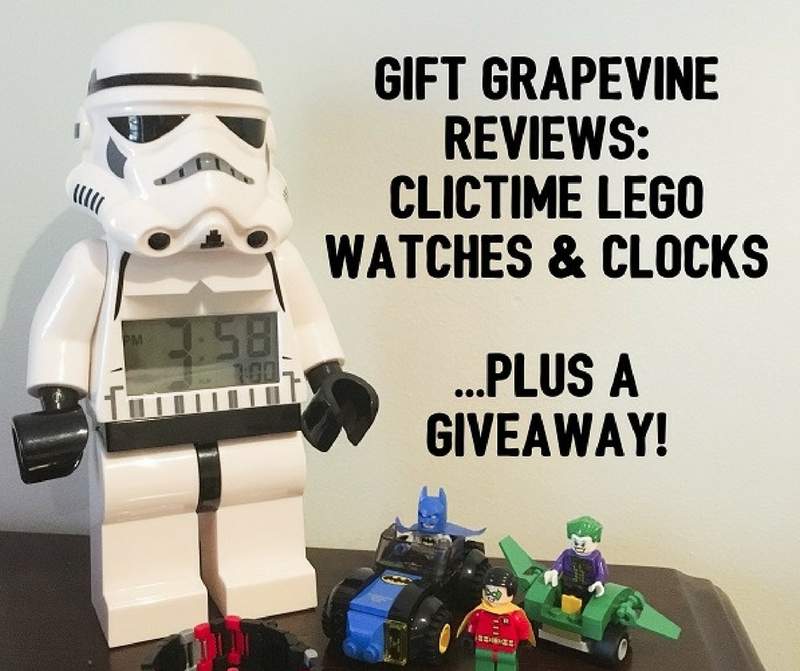 I was given these ClicTime LEGO watches and clocks by Big Wheel Toys to review, including one LEGO clock to giveaway. This is not a paid review. 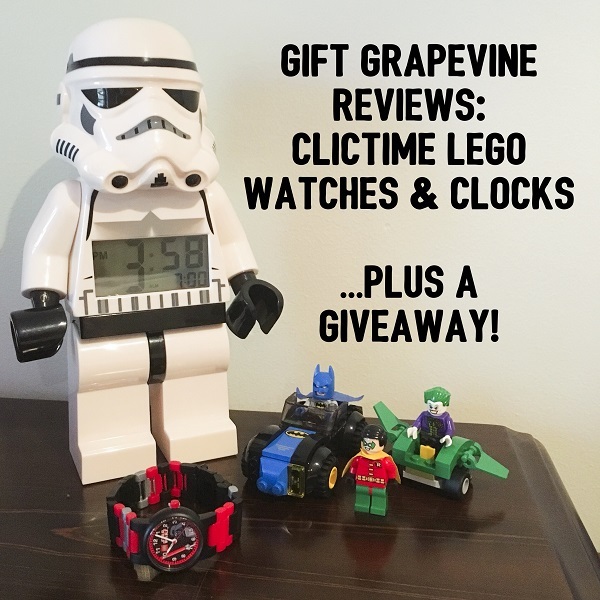 All opinions in this post about these LEGO gifts are my own. Want to know what I thought? Read on and watch my review video! When it comes to LEGO, there comes a time when there can be too many bricks. LEGO pieces take over entire rooms and unsuspecting parents are inflicted with foot related injuries from treading on all of those spikey little suckers. Don’t get me wrong. I’m a huge LEGO fan. We love LEGO in our house and I know many kids who spend hours happily building and re-building their sets. 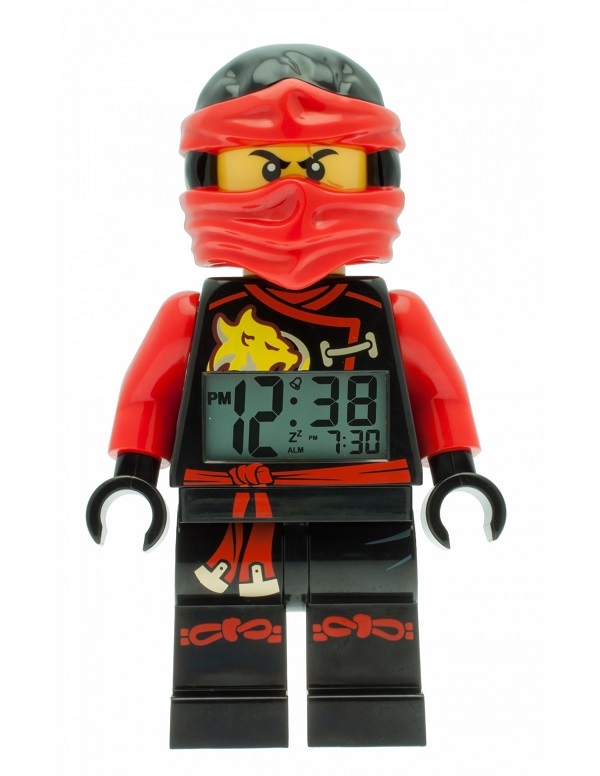 However I’m always on the lookout for LEGO related gifts, perfect for kids crazy about LEGO but suitable for parents who don’t want more bricks to add to their already massive collection. I’ve spotted some great LEGO gifts which I was lucky to have a play with this week. Photos do not do these justice so I’ve created a short video to demonstrate how cool they are. Thanks to Big Wheel Toys I have a ClicTime LEGO Ninjago Kai Giant Minifigure Alarm Clock to giveaway. All you need to do is tell me by commenting below: What is your favourite thing about LEGO? Terms and conditions – This giveaway is only open to Australian residents. This giveaway closes at midnight AWST on Friday 21 October 2016. Winner will be contacted on Monday 24 October 2016. One entry per person. This is a game of skill. Entries will be judged on their creativity by a panel who will decide the winner.